Product prices and availability are accurate as of 2019-04-21 00:31:41 EDT and are subject to change. Any price and availability information displayed on http://www.amazon.com/ at the time of purchase will apply to the purchase of this product. This is SR series, 250 single stage, medium duty Regulator. 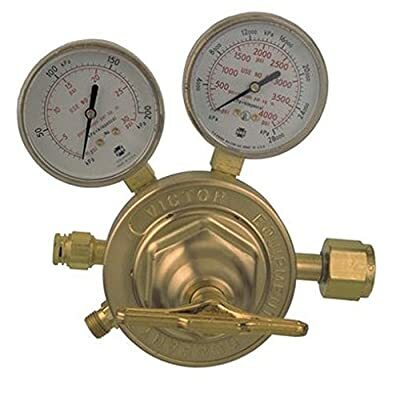 Recommended for applications where slight delivery pressure increases (due to decreasing cylinder pressures) would not affect the performance characteristics of the work or test results.